How to Build a Strong Analytics Career with SAS Certification? Do you wish to explore the secrets of building a strong career in analytics? If yes, then read on the article below and get comprehensive insight. Many experts have put down their comments to say that analytics requires professional to focus on delivering the impact to the business you are ideally interested in. Analytics is all about analyzing present situations, considering past performance, finding deviations and building strategies to overcome them. If you are finance major, focus on analytics that helps in eliminating waste in operational expenses and impacting the bottom line. It is indeed combination of data and software that helps in accomplishing results. Basically it is more about mathematics, business competency, strategic thought, data modeling, accounting data management, and communication. Well enough of talking on analytics. Many professionals by far must be interested in knowing how to pursue analytics and the answer is training and certification in advance SAS. Across the globe, SAS certification is the most sought after course chosen by the students and professional to build a career in analytics. 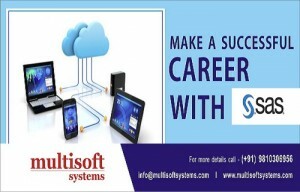 An easy way is to enroll in to SAS certificate program. There are numerous educational organizations that are SAS certified and offer quality assistance to students. They conduct different theoretical and practical sessions to ensure that student draws comprehensive understanding of the subject. Besides, these sessions are addressed by industry experts who are well-versed in the subject and share their immense knowledge in the field. It is ensured that students not only understand but also execute. Ideally, the basic purpose of SAS certification is that students grow and develop in sync with educational program. As aspirants learn about different technologies and software’s used in analytics, have large job opportunities at their discretion to choose from. Moreover, a SAS certified professional is recognized by leading corporates and enjoys privilege over non-certified professionals.